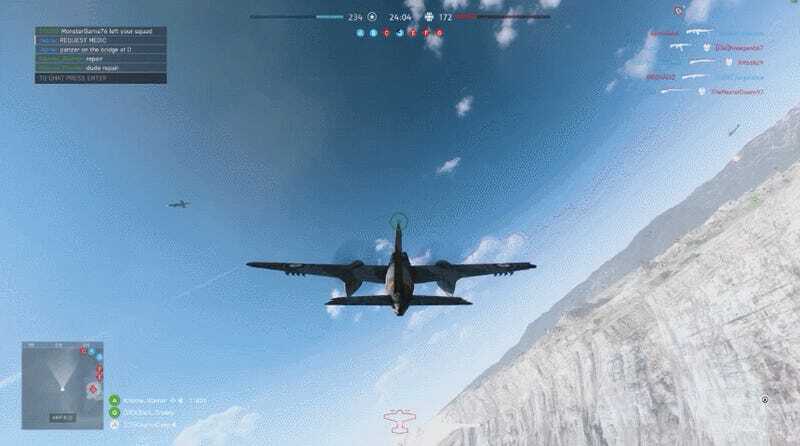 The V-1 rocket is the scourge of Battlefield V. It scurries in from off the map and smashes enemies, and it’s hard to avoid once it is coming for you. Reddit user osamadeep has figured out a tactic to keep that from happening. r/BattlefieldV - How to block V1 Rocket! You can run a plane into the rocket. That’s it. It’s not more simple or complicated than that, but dang if this isn’t a good idea if you can make it work. Calling in a V-1 rocket is a pretty big expenditure. It requires a squad to have an active leader who is calling targets and accruing points that allow them to call in specific rewards. But to get the rocket, which is very expensive, they basically need to horde those points through most of a game. The V-1 is pretty powerful to account for that expenditure, and when it flies in from off the map and smashes into the ground it can generally get a few kills and push swarming enemies back. If you can get a teammate to gracefully and elegantly perform a tactical takedown of the rocket as it flies in, you might be able to dodge it entirely. You just need that teammate to be an absolute surgeon with an airplane.